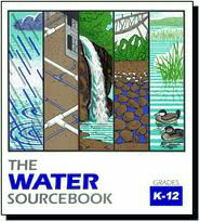 Click to see The Water Sourcebook CD-ROM K–12. Teachers and water quality professionals can order a free comprehensive guide to teaching students about the importance of preserving and enhancing water resources. The Water Sourcebook CD-ROM K–12 includes chapters on drinking water, wastewater treatment, groundwater, surface water, and wetlands. It includes various hands-on activities about water quality and quantity issues. Order the CD-ROM and pay only shipping and handling costs, or download some curriculum materials from the sourcebook for free from the Water Environment Federation’s (WEF’s; Alexandria, Va.) Public Information website.